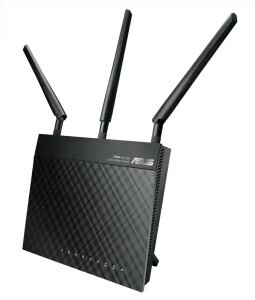 my Netgear WNDR3700 (v1) router’s 5 Ghz network just went missing – bad antenna? As this is a geekblog, I might as well document my woes here in public. Here is the support ticket I filed with Netgear just now. I purchased a WNDR3700 on 1/11/2011 – serial number 21840B550A390. I have registered the router on my.netgear.com. however no device capable of 5Ghz is able to detect the 5Ghz SSID. the scanning software inSSIDer does not detect any 5Ghz network being broadcast either. Logically, maybe the antenna or antenna amplifier has burned out, I can think of no other explanation in software for why 5Ghz is missing – the router itself is convinced that 5Ghz is indeed working, but it isnt. That suggests a hardware problem to me. 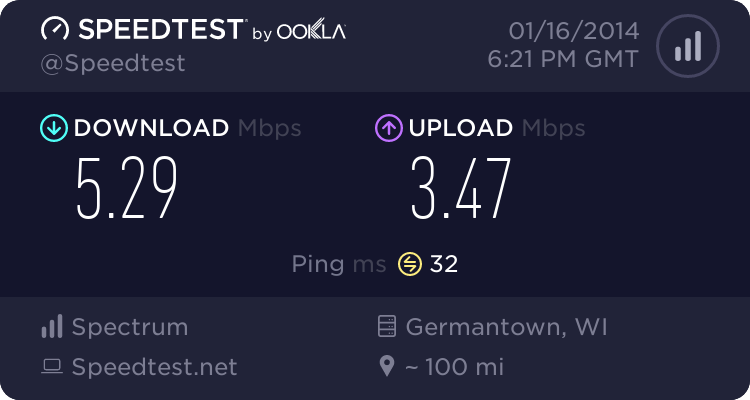 The router is only 2 1/2 years old and my previous Netgear routers are still going strong at my relatives’ homes after 5-6 years so this is very surprising. I am hoping Netgear support will not disappoint me. 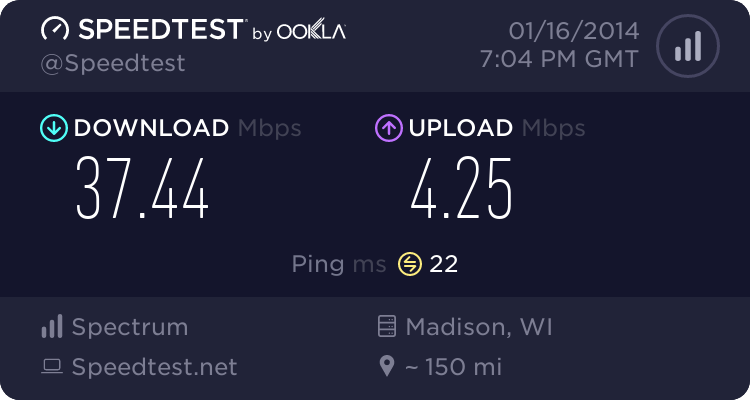 It looks like other users have reported similar issues with the 2.4 Ghz network also mysteriously vanishing, which is why I think my diagnosis of a bad antenna is correct. To be honest I was never enamoured of the speed of this router to begin with, as my initial tests showed. 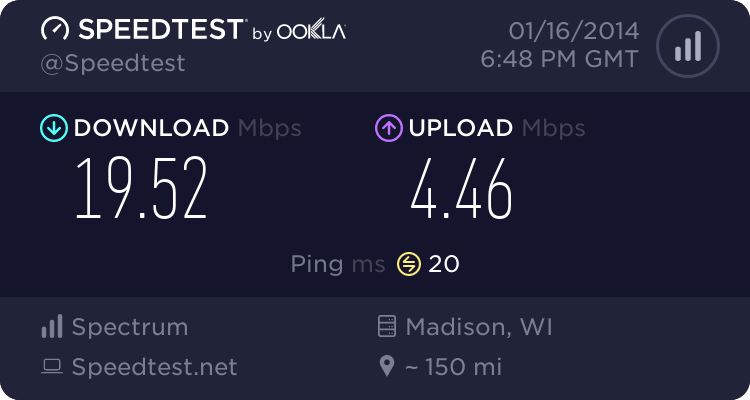 I am skeptical that Netgear will be willing to replace the unit but if they make some kind of gesture that will go a long way towards persuading me to buy a Netgear replacement. 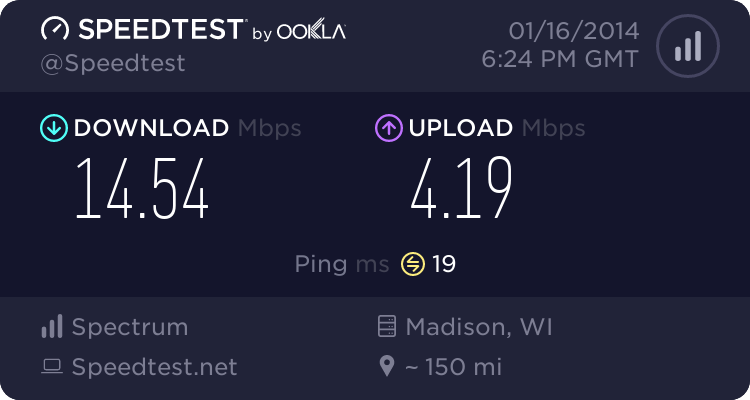 I’m not going to bother with a draft 11ac router, all I need is a solid 11abgn machine with some MIMO and I’ll be happy. Unless they make me a good deal, I am very tempted to ditch Netgear. For example, that ASUS RT-N66U “Dark Knight” got a nice review. External antennas, too! One of my hobbies here at Haibane is blogging about computer hardware, and I’ve decided to put some of that hobbyist energy towards creating my own spec sheets for PC builds, mainly because I’ve been asked to do that a few times recently for friends and family anyway. I’ve created a page here at Haibane called the Budget Gamer Build that specs out an entry-level box that should be capable of running most modern games at medium resolution, at a target price of $800. There’s also an upgraded version of the build that comes in at $1200 which offers better graphics performance, audio and an SSD drive. I will probably update that page every quarter so I stay within the price envelope and add new components as applicable. Hopefully I will also find time to spec out a higher-end build in the $2000 range and a home-theater build in the $1000 as well. 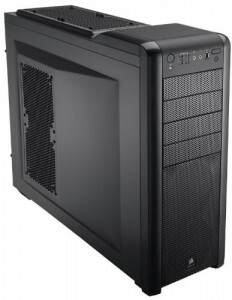 If you are looking to build a PC, I’d appreciate the opportunity to advise you as well, just drop me a line or comment. 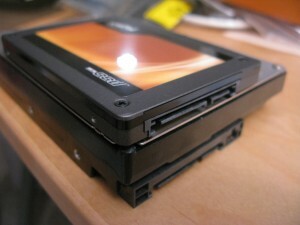 SSDs are seemingly doomed. Why? 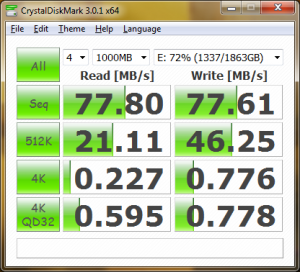 Because as circuitry of NAND flash-based SSDs shrinks, densities increase. But that also means issues relating to read and write latency and data errors will increase as well. The group discovered that write speed for pages in a flash block suffered “dramatic and predictable variations” in latency. Even more, the tests showed that as the NAND flash wore out, error rates varied widely between devices. Single-level cell NAND produced the best test results whereas multi-level cell and triple-level cell NAND produced less than spectacular results. This suggests to me that SSDs are never going to break out of the boot-disk niche for hardware builds. 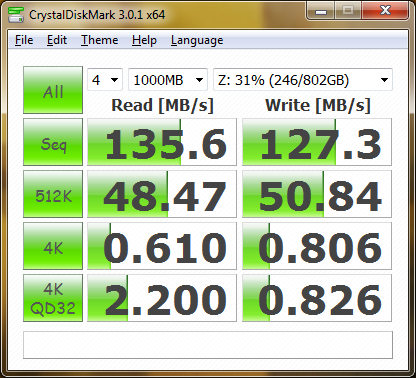 I get equivalent read-speads on my striped hard drives as my boot SSD, for that matter. 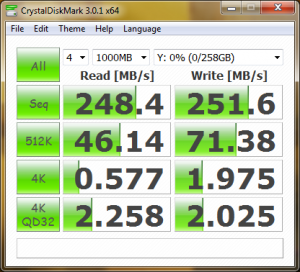 Author Otaku-kunPosted on February 17, 2012 February 17, 2012 Categories Geek serviceTags hardware, SSD3 Comments on Bizarro-Moore’s Law for SSDs? The SSD market is providing a rare opportunity for anyone not intent on building at the bleeding edge. 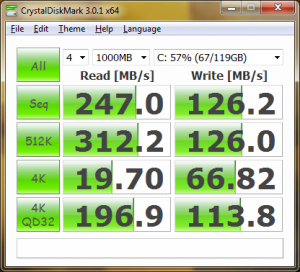 The newest generation of SSDs like Crucial’s RealSSD C400, OCZ Vertex 3, and Intel’s SSD 320 are out and have been reviewed, but offer incremental performance upgrades at best (mainly from refinements of the controllers’ firmware, and also some further power consumption efficiency from moving to a 25 nm die). This means that the prior generation’s performance leaders are a real bargain at reduced prices. For example, if you use the code CRUCIAL4455 at NewEgg (valid until tomorrow) you can get a C300 for $200, and free 2-day shipping. That’s $40 cheaper than I paid for it just a few weeks ago (and you can see my benchmarks here on PREFECT). I expect that the Vertex 2 and Intel’s SSD 510, also previous generation, will see some major rebates or discounts soon, but the C300 is really the best SSD of the 34nm generation. .
UPDATE: The 120 GB Intel 510 Series is also on sale at NewEgg until 4/7. The bottom line is that the upgrade to an SSD packs better punch than upgrading RAM and is a far cheaper alternative to upgrading a mobo and CPU (Sandy Bridge is still not compelling an upgrade IMHO, which I can elucidate on in thread if anyone cares). The advantage of the form factor is that its compatible with any SATA laptop or any desktop (unfortunately, my old T42 is just outside that generation, still using ULTRA-ATA. And it has a broken LCD backlight, but I digress…). These things even come with simple utilities to clone your current drive, OS, apps, etc without a hitch to the SSD. This is the best bang for your buck. I think that the $200 price point for 128 GB is a price floor, however – it won’t go lower, because all the inventory of the old generation drives like the C300 will sell out at that price. Once the old generation drives (which as I mentioned, offer largely comparable performance) sell out, then the only SSD options will be the new generation which are about $100 more expensive. After that, your best window to buy an SSD again will be 6 months to a year from now, when the current “next” generation is again replaced by a new crop and the cycle repeats. 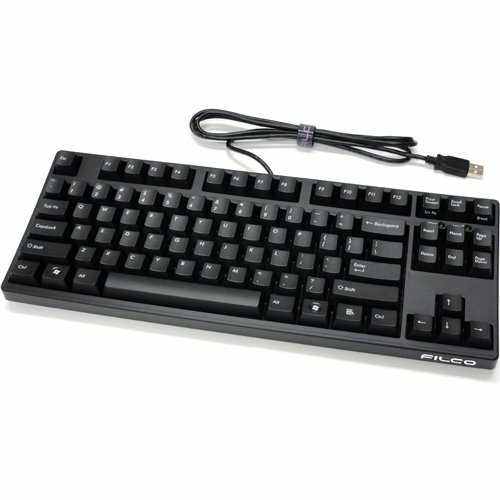 This is a real rarity – a Filco Majestouch keyboard, of the 87-key layout (tenkeyless), and with the linear Cherry MX Red switches, in stock at Amazon.com. In my earlier post on keyboards I noted that reds were pretty much impossible to find. And here they are, in stock and free shipping. The keyboard is a little pricey but I think it’s worth snapping this up. Red switches are linear like blacks, but lighter force for actuation. The result should be an ideal hybrid between gaming and typing. My only complaint is that it isn’t a blank keyset, but that’s ok 🙂 There’s a thread at geekhack with some initial reviews of this board and I think I am going to enjoy it. 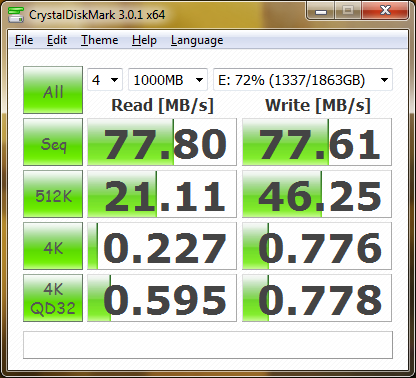 Disk0 (E: – BACKUP) is the 2TB Western Digital Caviar Green, formatted as one large basic volume. Disk 1 and Disk 2 are the 1TB Samsung Spinpoints, where the first 128 GB of each have been striped together to create a single 256 GB striped volume (Y: – FASTDATA) and the latter 800 GB are mirrored (Z: – USERDATA). There’s also a strange unallocated block on one of the Spinpoints, which is relatively tiny (130 MB). Odd, that. 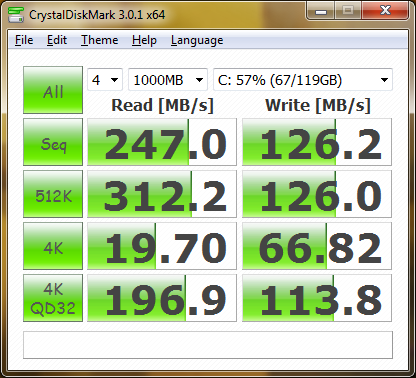 Finally, Disk3 is the 128 GB Crucial RealSSD C300. I’ve moved all the user data directories to the mirrored partition and kept the Windows OS and application data on the SSD, with plenty of room to spare. I’ve put a huge amount of overthought into this, but I think I am finally happy with how it all turned out. I need to do my final wrap up post on PREFECT now, with photos and cost estimate. Since the only game I run is WoW I think I am basically futureproof for a long time.